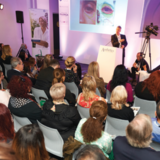 On April 27 and 28, aesthetic professionals from across the UK will join together for two days of education and networking at the Aesthetics Conference and Exhibition. Read on to find out what you will gain from attending! The Expert Clinic is situated at the farthest end of the Exhibition Floor and will present 17 sponsored sessions across the two days. It has a live demonstration stage and high quality AV, making it easy for you to watch the speakers showcasing their techniques in action! Each Expert Clinic session will be worth 0.5 CPD point. The 12 Masterclasses will be held in two private rooms situated on the upper floor. 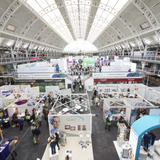 They comprise practical demonstrations and in-depth discussions of the latest products and treatments from leading KOLs. The Masterclasses generally fill up fast, so you’re encouraged to arrive early to guarantee a seat! Access to several sessions may be restricted to some professionals, so check the programme on the website or in your ACE Guide in advance. Latest innovations in facial contouring and volumising with Princess dermal fillers; an expert panel will discuss how to maximise your clinic portfolio offering with this new dermal filler from Schuco Aesthetics, featuring live demonstrations and Q&As. Each Masterclass session will be worth 1 CPD point. 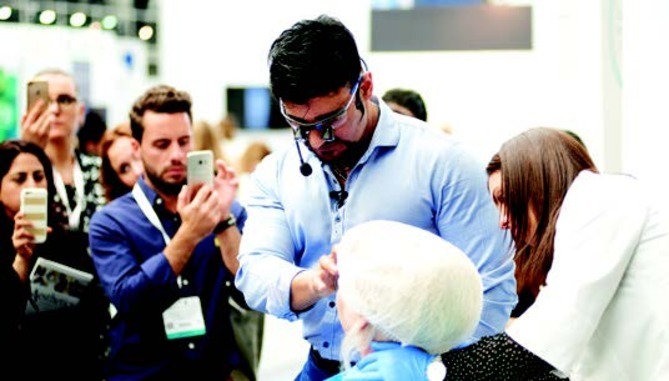 These 12 innovative workshops from business experts across the aesthetic specialty will provide you with everything you need to know about how to run a successful practice. 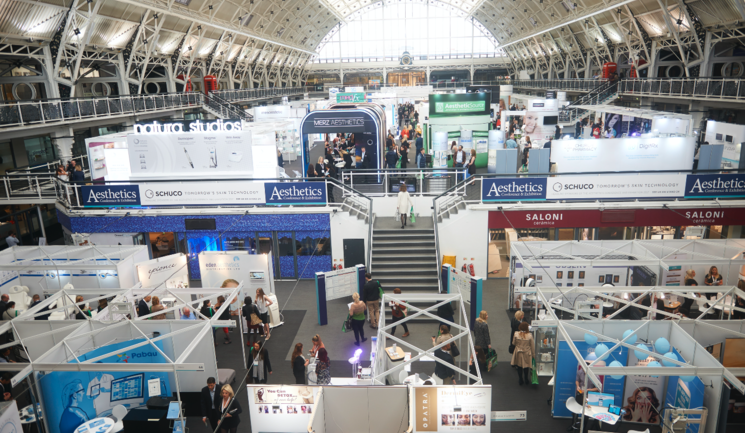 All aesthetic professionals are encouraged to attend, including practitioners, clinic managers, marketing teams, brand directory and clinic staff – your whole team can benefit from this varied agenda! Each Business Track session will be worth 0.5 CPD point. 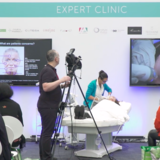 This unique session, led by multi-award-winning consultant plastic surgeon Mr Dalvi Humzah, comprises an international expert faculty that includes dermatology nurse prescriber Anna Baker, dermatologist Dr Hema Sundaram, general surgeon Dr Wolfgang Redka-Swoboda and founder of Cosmetic Digital, Adam Hampson. The team will share practical and interactive advice on how to enhance your skills using cannulas, as well as how to address specific skin concerns and facial areas. Mr Humzah will demonstrate his new trademarked procedure – the MD Lift – for a medium-depth lift for nasolabial folds. 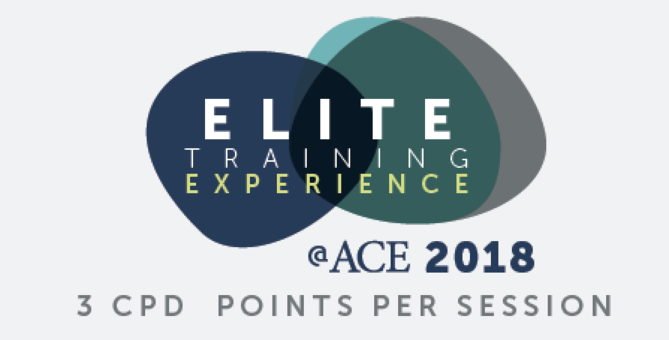 As an attendee, you will receive 10% off a future course with DHAT, 50% off a box of TSK needles of your choice, and 10% off a digital marketing course with Cosmetic Digital, when purchased at ACE. Access to this session is restricted to doctors, dentists and nurses with valid GMC, GDC or NMC numbers. Founder and medical director of the renowned PHI Clinic on Harley Street, Dr Tapan Patel, will feature high definition videos from his new e-MASTR platform and perform live demonstrations of filler and toxin procedures so you can see first-class facial rejuvenation treatments in action. This interactive session will allow you to ask Dr Patel key questions on an array of injectable topics, ensuring you go home equipped with valuable new skills and knowledge to build upon your clinical offering. You will receive 10% off a future course with Academy 102 when you attend this taster session. Access is restricted to doctors, dentists, nurses and pharmacists with valid GMC, GDC, NMC or GPhC numbers. In this dynamic and engaging session, international speaker Dr Kate Goldie will present interactive live demonstrations on the art of individualised mid-face treatments, discussing how to beautify patients while keeping their uniqueness. She will also explore the art of lip sculpting and outline how to shape a young, dynamic lip and refresh an older lip, while giving specific guidance on combining fillers and toxin to balance the flow and transitions of the facial profile. Periorbital treatments will also be discussed by Dr Goldie, and if you attend you will be invited to discuss your individual cases at the Medics Direct Training stand. After the workshop, you will also receive a complementary e-learning module with the highlights, technique videos and theory of the workshop, as well as 10% off a future training course with Medics Direct Training. Access is restricted to doctors, dentists, nurses and pharmacists with valid GMC, GDC, NMC or GPhC numbers. Global key opinion leader Dr Raj Acquilla will be joined by nurse prescriber Jane Wilson to share his injection techniques for a total-face approach to treatment, covering facial aesthetic ideals for male and female patients, treatment planning, facial anatomy for hyaluronic acid and botulinum toxin injection with live demonstrations, as well as risk avoidance and complication management. His talk will use a make-up artist to discuss illumination, show projection and depressions while geometry, ratios, proportion and angles will be discussed. The perception of sadness and anger during ageing and how injectables can create facial serenity will also be covered. Attend this session for 10% off a future training course with RA Academy. Access is restricted to doctors, dentists, nurses and pharmacists with valid professional numbers.